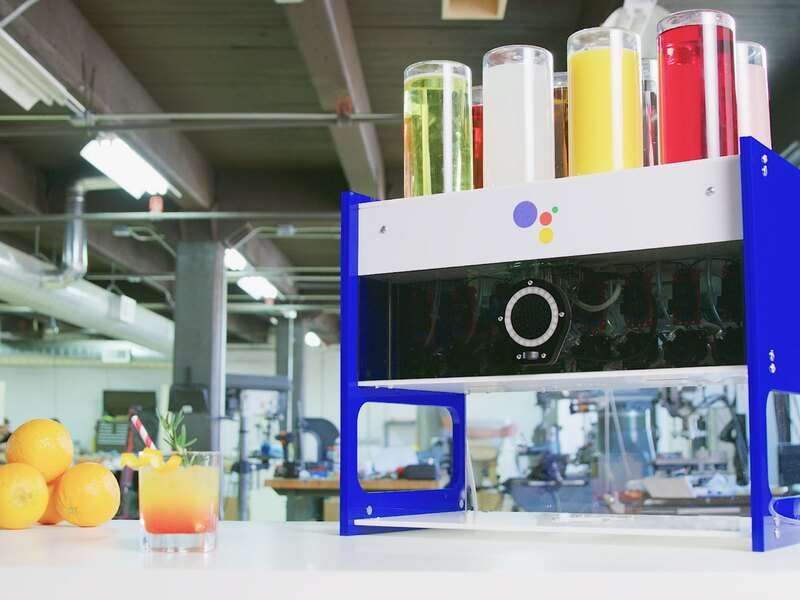 Google teamed up with innovation studio Deeplocal to create the Google Assistant SDK: Mocktails Mixer—a DIY robotic home bartender that whips up your favorite mixed drinks at your command and serves you a splash of small talk while you wait. The code and hardware for the Mocktails Mixer is open source and available on GitHub. On command from the Raspberry Pi, food-safe pumps transfer various liquids from the bottles to the glass in precise quantities. When a drink is ordered, a Python application within the Raspberry Pi registers the request and communicates with the pumps using the embedded Assistant SDK. 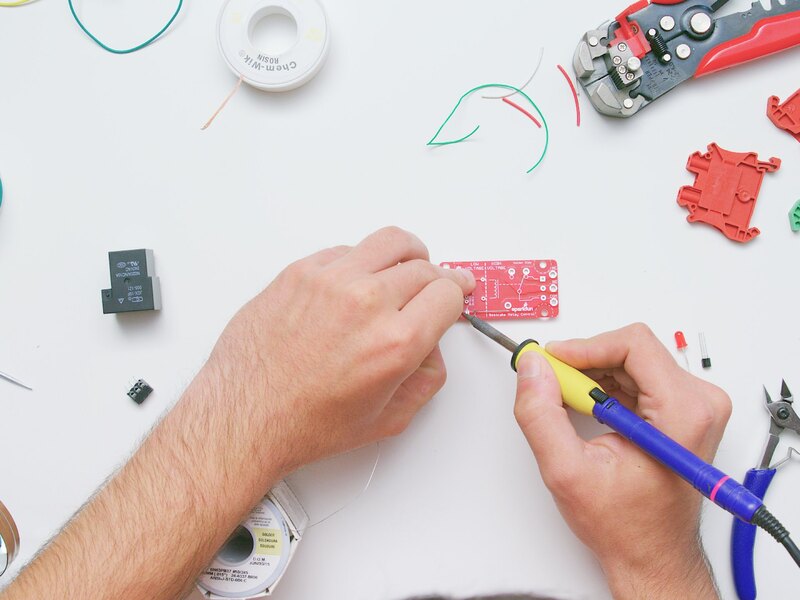 Offboard mic and speaker assembly allows the user to communicate with the Mocktails Mixer. LED lights around speaker indicate when Mixer is listening. LED lights around bottles indicate when liquid is dispensing. The body of our Mixer is constructed using laser-cut acrylic. We used glass bottles to hold our liquids and peristaltic pumps to dispense the ingredients. Our design is completely modular, so you can add as few or as many bottles as you want for your machine—we went with eight. Our Mixer is powered by a Raspberry Pi, an Arduino, and the Google Cloud. The Google Assistant SDK allowed us to easily create a conversational interface that makes ordering a drink a simple ask. 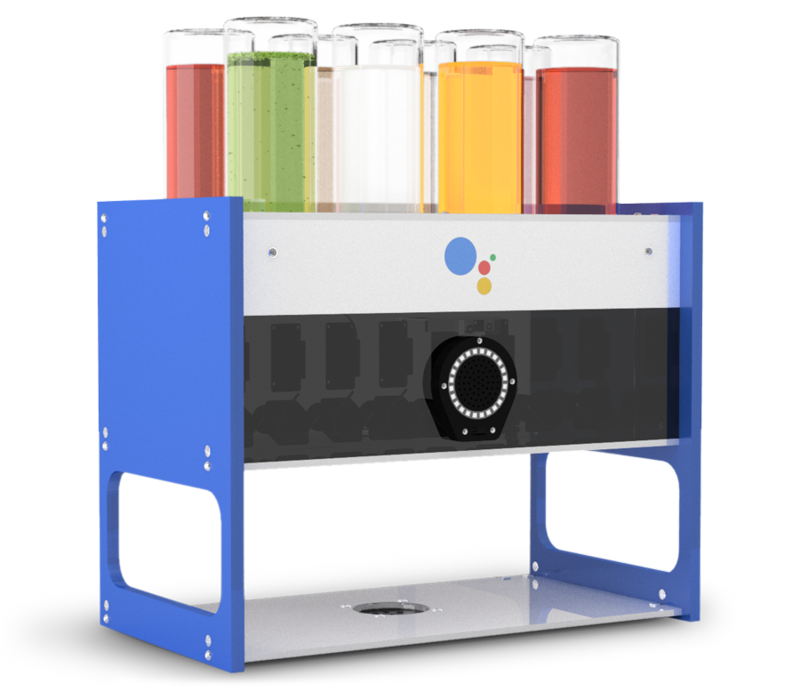 With Actions on Google, which lets you build for the Google Assistant, you can program your Mixer to make any mocktail or mixed drink recipe by adjusting the ingredients in your bottles and updating the name and the ingredient ratios in the code. Use API.AI to build the conversational interface with your Mixer, so you can order drinks with your voice. You can even program your Mixer to mimic your friendly neighborhood bartender and tell jokes, read you the news and random fun facts, and more. Get the full instructions on GitHub. Serve up custom mixed drinks with a garnish of gab.